"Get all the insider tips on Costa Rica Travel in your free travel Guide"
What’s inside The Insider Travel guide? You will find great Costa Rica Travel Tips for when you come on your next trip. See all from what is best to eat to the most fun vacation ideas. We can help you plan your next trip and make it the best vacation ever. 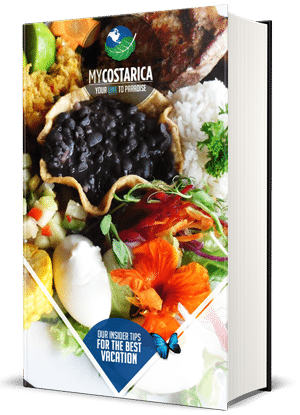 On top of what you find inside, My Cost Rica will give you the best Costa Rica Travel tips and advice. 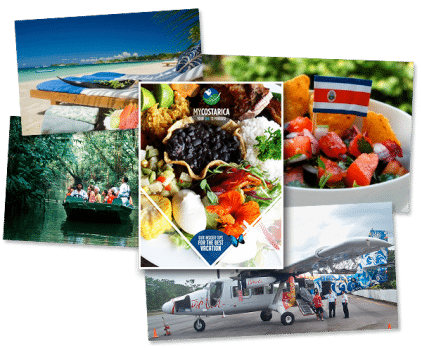 Have you ever tasted traditional Costa Rica cuisine or experience the freedom of an all-inclusive resort. The guide will help you plan for things like this. A Costa Rica trip isn’t complete without all the bell and whistles. That means to think of where you want to go and what you want to do. We can help with both. The guide really only supplies so much information but when it comes to knowing the best surf spot or coolest places to relax, come to us. Your next trip to Costa Rica is only a click away.